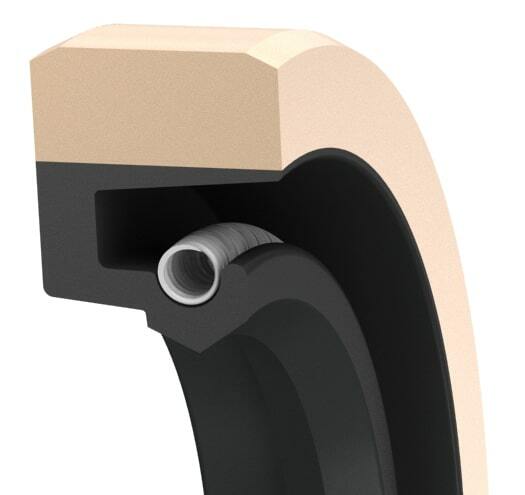 This seal is used in applications where there is a large tolerance on the housing root diameter or the housing is split. The rubber fabric OD also prevents damage to the housing due to corrosion and makes installation and removal a simple process. A cover plate is required to ensure proper compression and stability. This seal style is also available with a finger spring to handle shaft misalignment or run-out.